Durable, lightweight, compact metal hose reels with extendable handles. 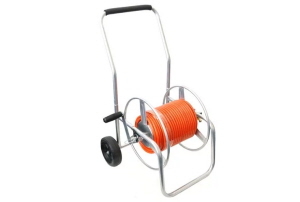 Throw out your tatty old plastic reel! 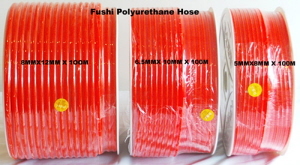 Reinforced hose. 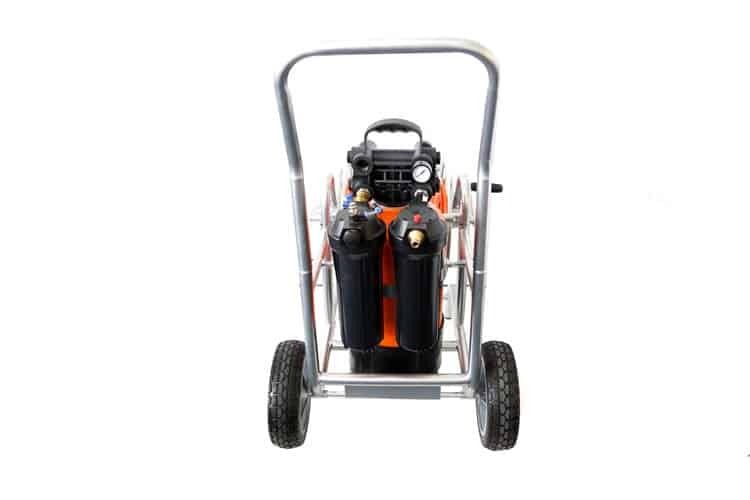 Perfect for Australian and New Zealand conditions. 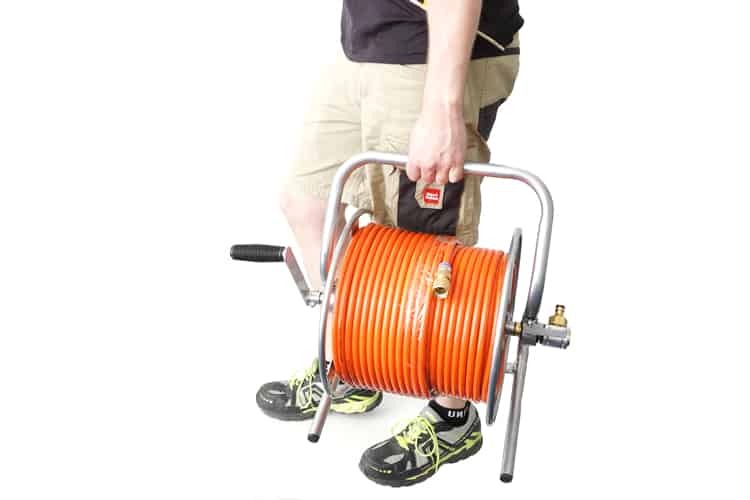 Your flow won’t be impacted with people running over your hose. 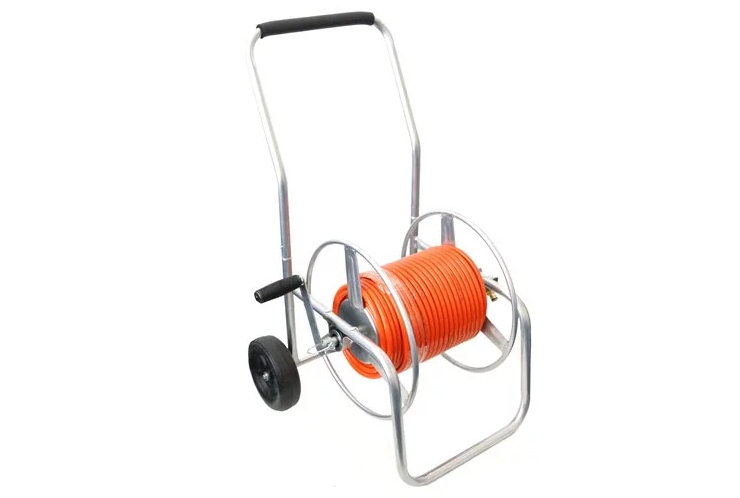 Tough and durable. Hi Viz. 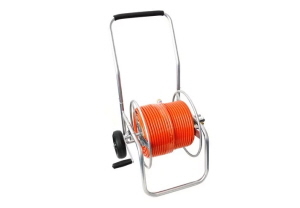 Available in thin diameter for your pole and large for your hose reel for the ideal flow and weight ratio. Product does not come with Hose Leader to connect hose to water source. 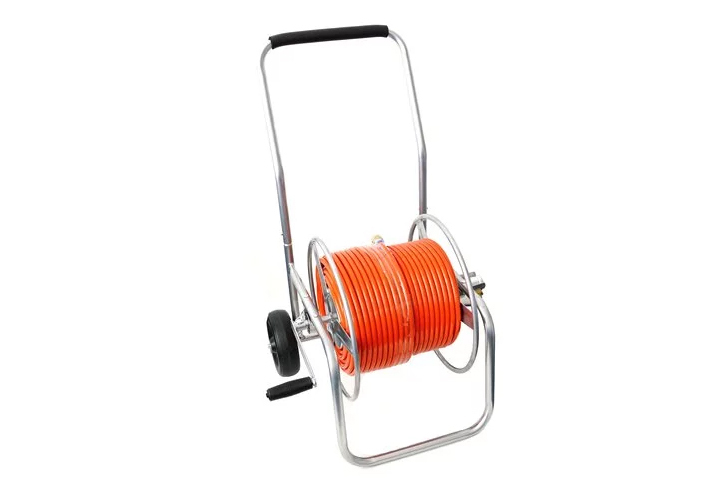 Hose and Reel 100m of 12mm reinforced, kink-resistant hose on the toughest, most durable compact metal reel on the market. 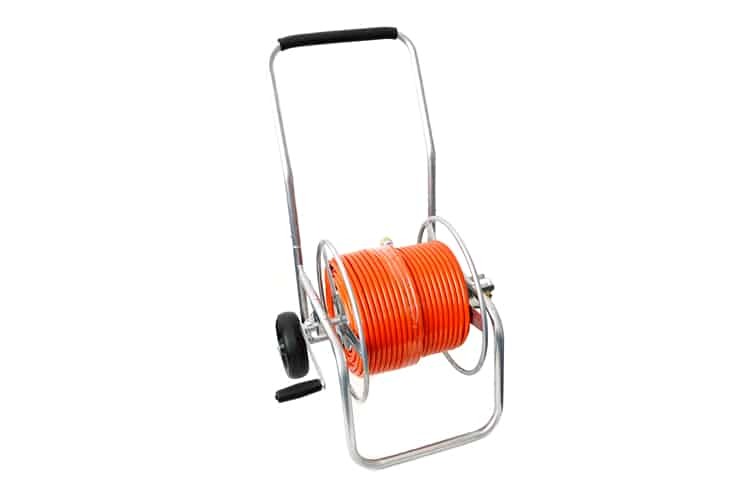 100m of 14mm reinforced, kink-resistant hose on the toughest, most durable compact metal reel on the market. 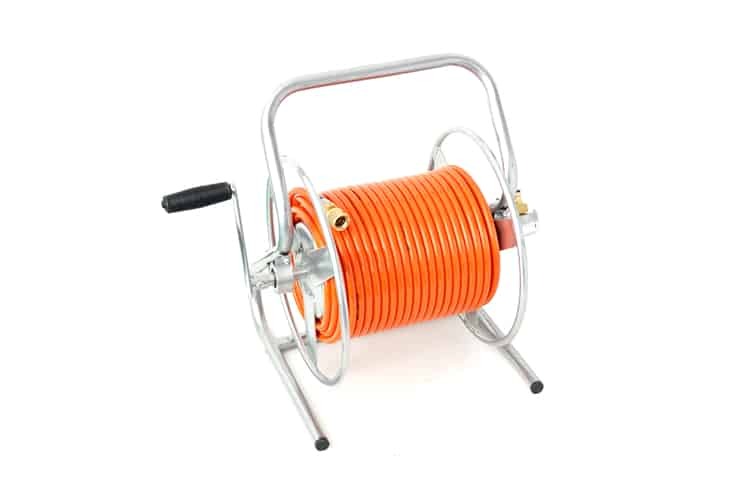 Suitable for 10mm, 12mm, 14mm and standard garden hose up to 100m in length. 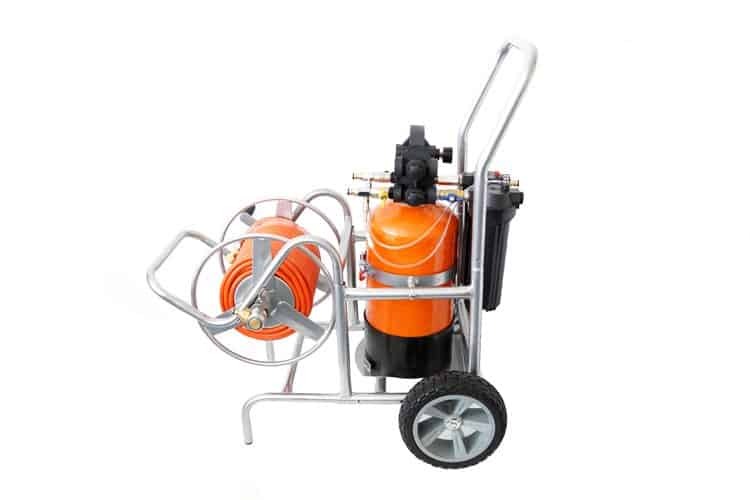 Product comes with Hose Leader to connect hose to water source. Polyurethane hi viz, durable pole hose. 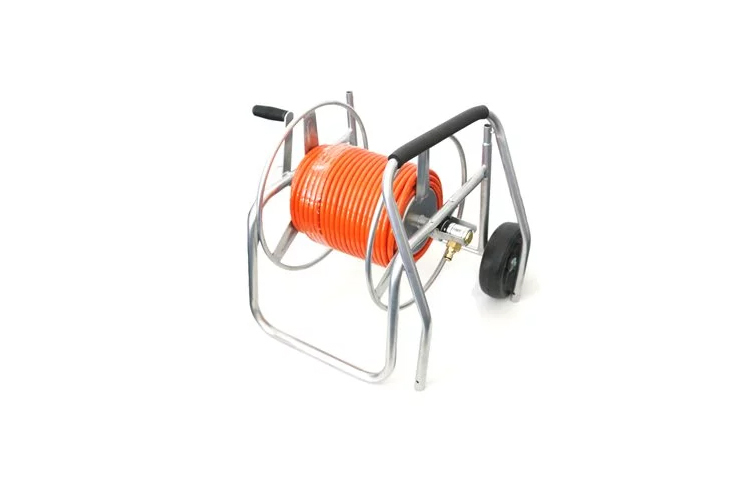 Use this hose to connect your DI system to your hose reel. 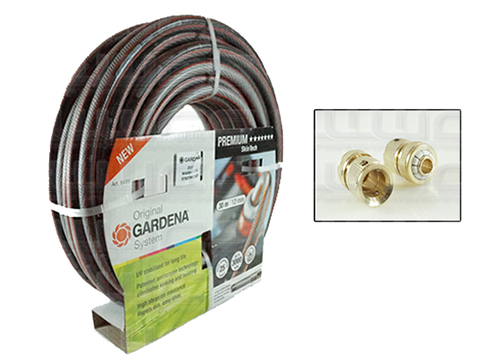 Premium Gardena SkinTech hose with premium brass connections. 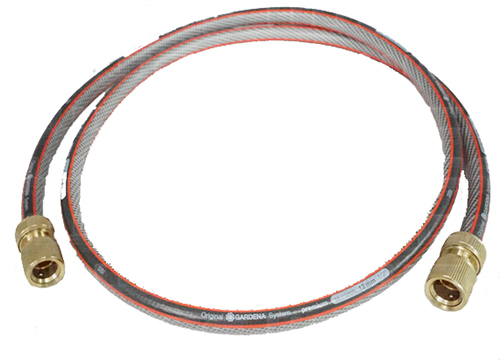 30m of 12mm premium SkinTech hose with premium brass connections. 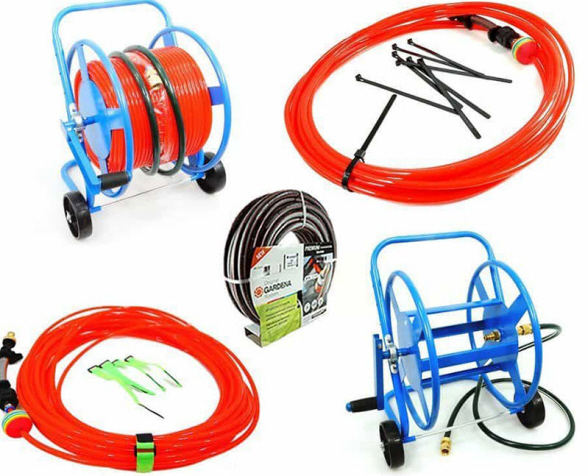 25 year hose guarantee. 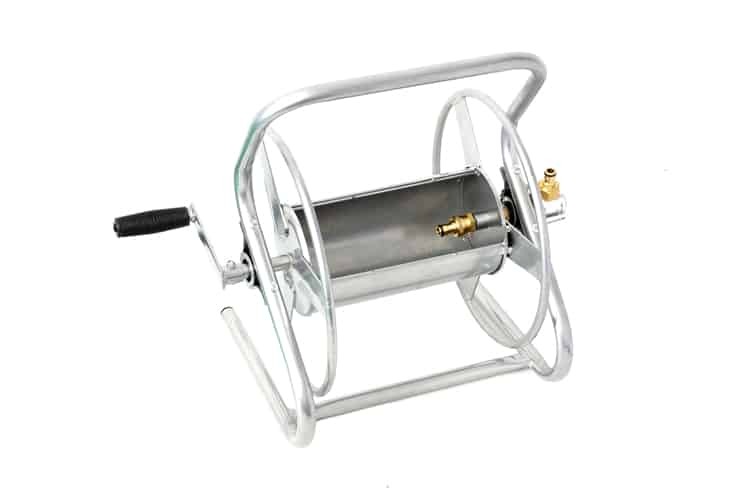 Up to 3000 K Pa.
Easy to wind.UV stabilised for long life. 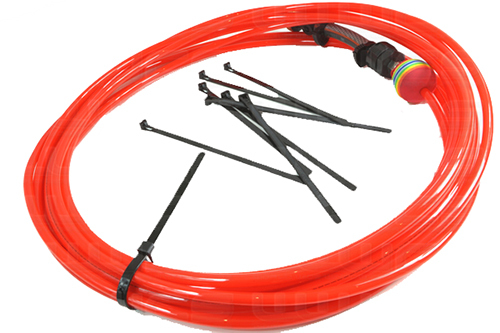 Patented antitorsion technology - eliminates kinking and twisting. 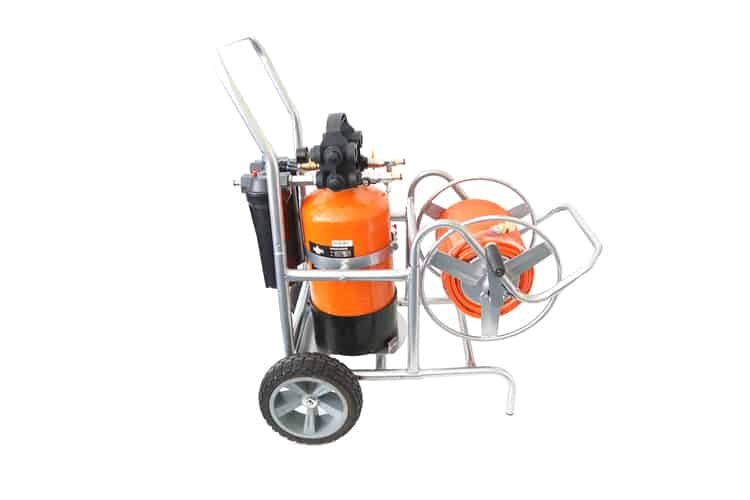 High abrasion resistance. 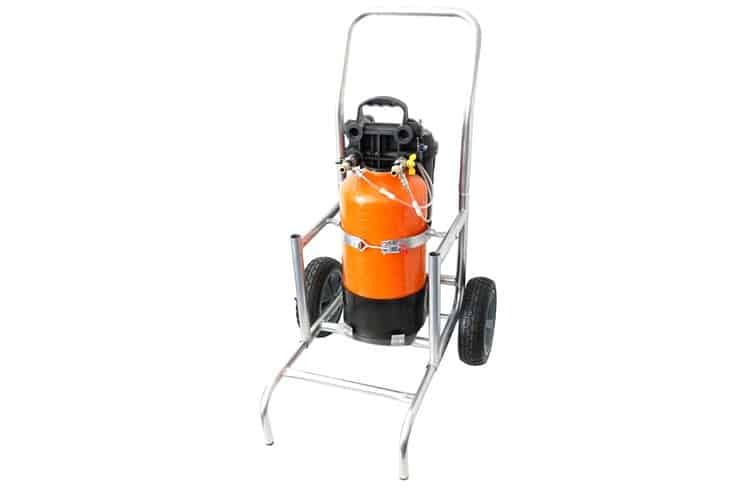 Repels dirt, easy-slide. 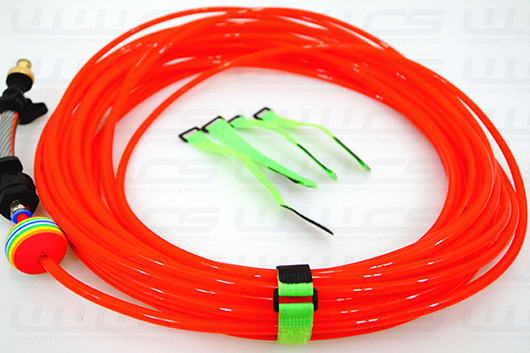 Releasable black nylon cable ties. 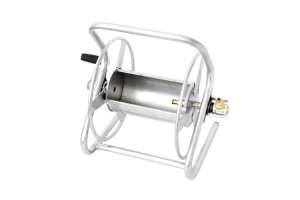 Available in 200mm, 250mm, 300mm, and 500mm in lengths. 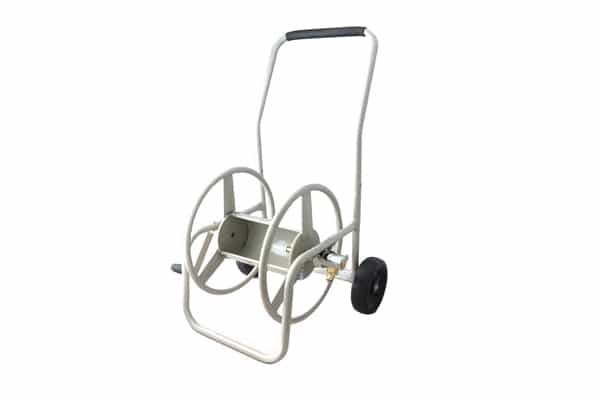 All-in-one DI trolley and compact hose reel. House Reel is mountable and removable - mount up to two at once. 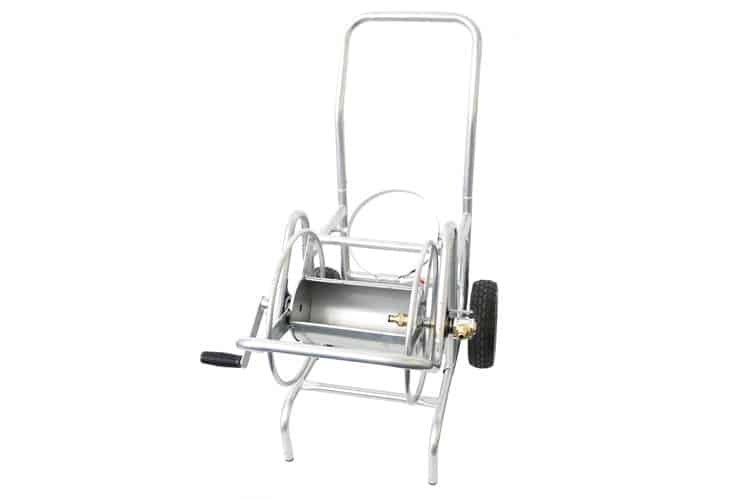 Compact lift and carry hose reel. 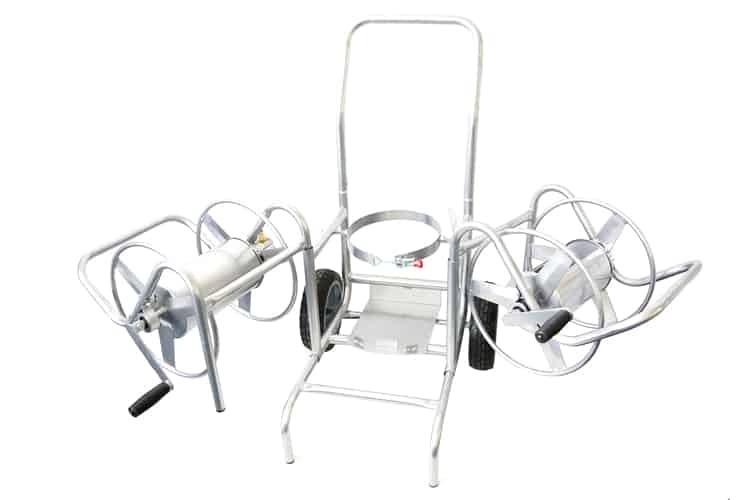 It can be added to Combination DI Trolley to be wheeled. It can be fitted with 50m or 100m of 12mm hose. 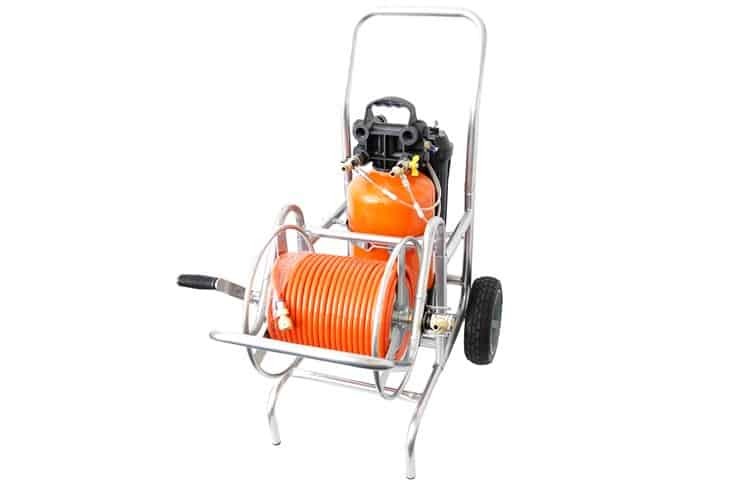 Compact lift and carry hose reel with 50m or 100m of 12mm hose. It can be added to Combination DI Trolley to be wheeled.